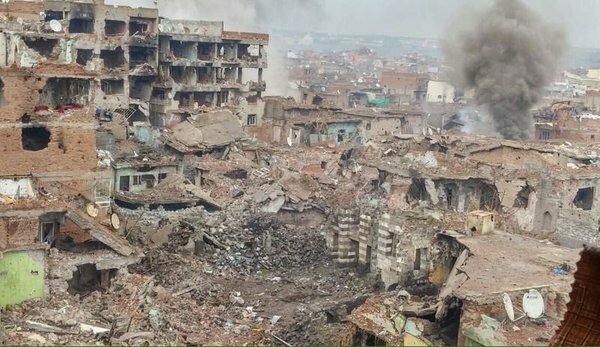 CIZRE, the Kurdish district with a population of 130.000, has been destroyed by Turkish state forces. Hundreds of civilians were killed in the process. KNK Statement: Turkish State About to Commit Massacre in NUSAYBIN!